Abstract submission is possible only via the web site. Please first make your account to login, by entering the "Registers" button at the right corner just below the banner of the site. 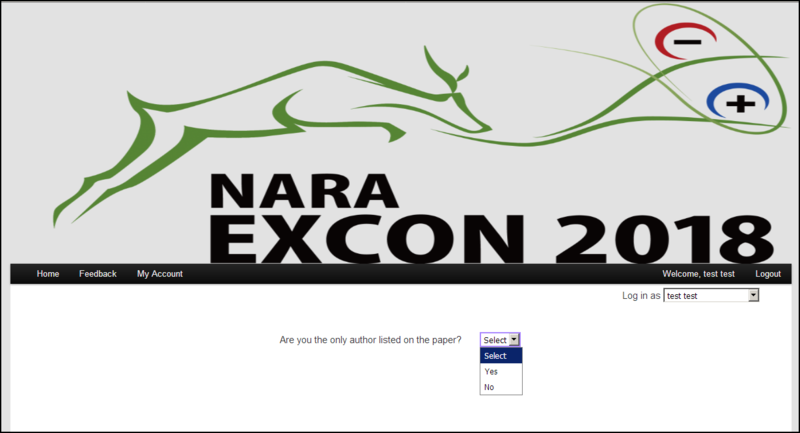 (1) After you will login with your account and push "Submit Abstract", you will find the question as follow. If you have co-author(s), please select "No". (2) Please input the presentation information and upload a pdf file of your abstract in the Submit Abstract menu in accordance with the guidelines listed below. After that, please input the information of author(s) at the Presenting Author menu and at the Co-authors menu. (3) The abstract must be completed within one page. Please type your abstract into the template to replace the instructions, using Microsoft Word. Abstracts must be written in English. Then, please convert it into a pdf file. More detailed instruction is given in the template. (4) In the submission website, the author must enter the Title of the abstract in the Full Title field and free keywords in the Keywords field. Also, the author selects the Preferred presentation format (Oral or Poster), appropriate Topic from the pull down menu. Please refer the topics of this conference as follows. Note: Although the oral presentation is mainly assigned to plenary and invited speakers, high quality papers which are submitted as contributed papers will be selected as oral presentation. If an oral presentation will be rejected in the program selection, your presentation will be a poster. (5) If the author would like to apply for the candidate of "BEST STUDENT AWARD", please type "Application for Best Student Award" in the Remark field. In the case of no application, please enter "No" in the Remark field. For confirmation, please send a digital copy (PDF file) of the student ID to the secretariat of EXCON2018 (secretariat@excon2018.org). Note: Please do not forget to input Position/Job Title in at the Presenting Author menu. This award is only for students, and the applicant must be the presenting author. In addition, the applicants must submit the proceedings before July 1, 2018. (6) Please check the box at "I prefer to submit abstract as a PDF attachment", and then you can upload your abstract PDF file.